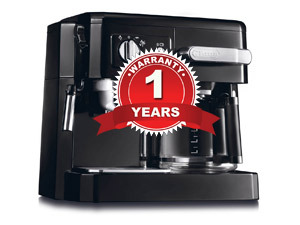 Delonghi Combi 330t is a unique 3-in-1 coffee machine that can brew drip coffee and espresso beverages simultaneously. Patented milk frother allows you to get dense and very tasty foam. And the exclusive system of water filtration helps to free the beverage from chloride and other unpleasant flavors of the tap water. Combi 330t and other Delonghi devices of Combi series are very useful at home; they save a lot of space and brew really nice coffee in very short time. But, as any other device Delonghi coffee machines can stop working. Here we will give you several tips how to troubleshoot your Combi BCO 330t. We will not solve each problem, but we will help you to find the proper solvation. So, let’s begin with a drip coffee brewing part. 1.1 1. The drip coffee takes longer brewing or does not brew at all. 1. The drip coffee takes longer brewing or does not brew at all. The problem is common for every drip coffee brewing system. Possible cause of improper coffee machine work may become the descale. So your Combi 330t needs to be descaled. You can follow several steps to make proper descaling of the device. rinse out the system using only water (not less than three times). Your BCO 330t works properly again. But if not ― you need to go to service center, because there can be other damages that cause the improper work of the coffee maker. If you notice this after descaling your device make sure that you have descaled and rinse it out properly. Rinse it out again, not less than three times with full water tank. Usually, this step becomes rather helpful in the problem salvation. Most leaking problems are not problems at all. 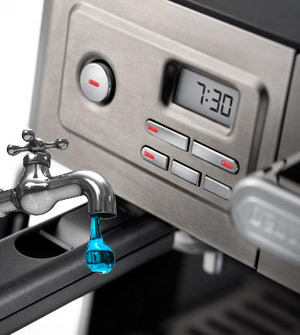 Most drip coffee makers are leaking because of too much water in the water tank. If your BCO 330t starts leaking, make sure you have not overfilled the drip coffee carafe. Mind that water level should be not more than 10 cups. If you pour more be ready to have problems. wait for 5 seconds after you set the time until the numbers stop flashing. Mind that while temporary power failure settings are not stored in the device memory. This problem may have three possible causes. First is that it’s not enough water in the tank. If it is so ― fill the water tank and enjoy your coffee. The second possible cause is that the filter has clogged and blocked the coffee delivery. If the reason is clogged filter then clean it with a pin. But be cautious not to damage it. The third possible cause of improper espresso delivery into the cup may become the clogging of the filter holder holes. Usually, they are clogging in the spouts and block the coffee, if you brew espresso quite rarely. To solve the problem just clean the filter holder holes. Usually, the cause of the problem consists of the too fine ground coffee beans. But also brewing may become too long because of pressed coffee powder in the filter. To solve the problem, just change your coffee, don’t press it while filling the filter, and put less coffee into the filter. Ordinary, it will be enough to make your coffee machine work properly. There are two possible causes for this problem. First one is that milk is not cold enough. You must know that you have to use only skim milk from the refrigerator. Don’t use hot or boiled milk ― frother won’t work with it. The other reason for the stopped frothing is that cappuccino maker is dirty. To solve this problem, just clean the holes in the frother, but do it thoroughly to avoid the damage of the system. First you have to know that warranty runs during one year after purchasing the device. 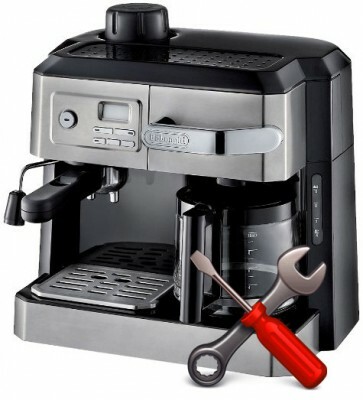 During this period you can return coffee machine or repair it for free. But remember that this warranty does not cover defects and damages that were caused by repairs out of the factory and authorized service center. The warranty also does not cover the situations when the damage came as the result of misuse, negligence or accidents. So if you have troubles and troubleshooting described in this article doesn’t work, don’t be shy to visit authorized service center to get the warranty fix.